I’m not sure what it is about slime, but something has taken ahold of my kids lately and it is all the rage! We’ve tried a lot of the various concoctions for our own slime recipe over the last year and I found my favorite one! How to make slime without Borax meaning it is totally safe for the kids, even if accidentally digested. Because we all know how tempting that gooey slime can be once created. 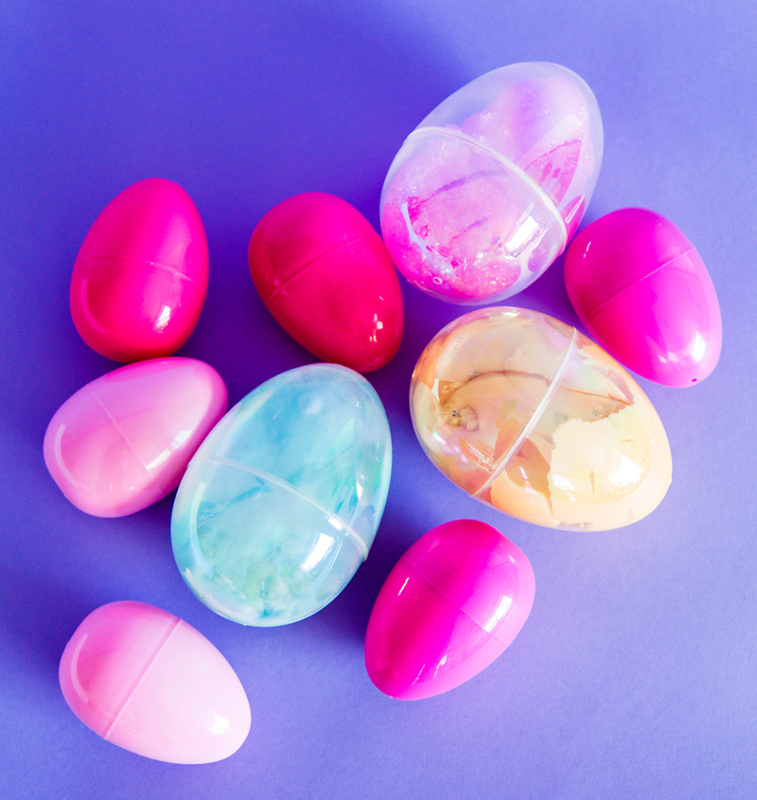 Since they love it their homemade slime so much, it seems a great option to put in the Easter eggs instead of candy. 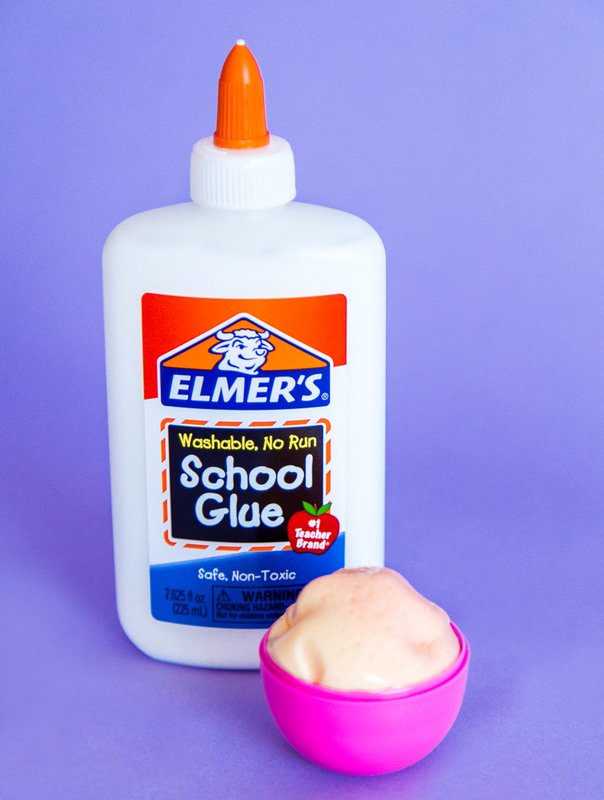 We used Elmer’s to create our slime recipe making it an easy project with no risky ingredients included! 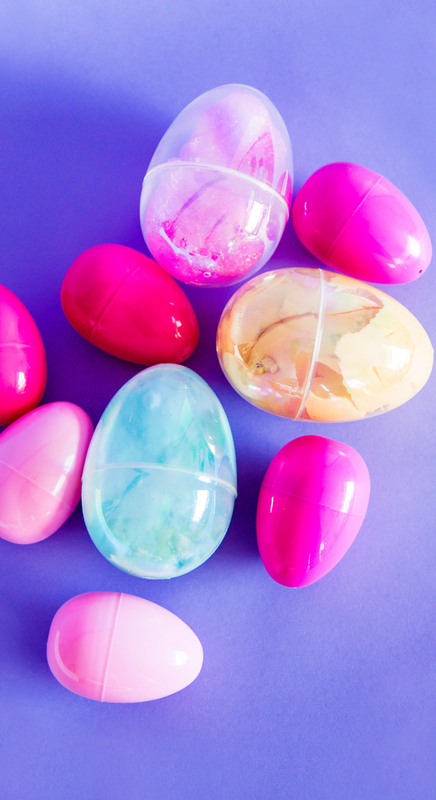 I am guessing these slime filled Easter eggs will be the hit this season and the fluffy slime recipe below can be used to make slime anytime of the year. It’s a surefire way to get the older kids excited. We had been making slime with Borax in it using this recipe, until a friend’s kid stuck it in their mouth. And I completely freaked out! So we searched for a safer alternative and ended up with the colorful explosion of slime that is fluffy, safe and everyone loves. After this we even found a way to make the slime on purpose edible with marshmallow creme and stuck it in a cake! You can see that post right here. 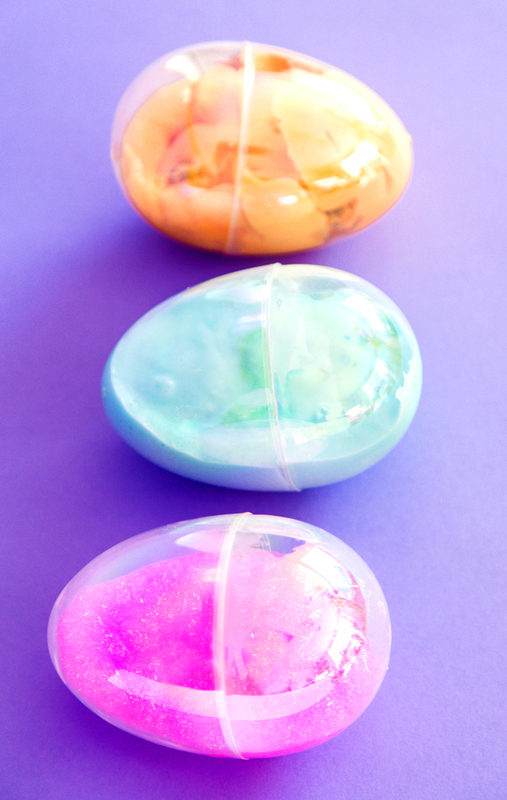 I love that this slime recipe is not just safe for the kids, but it comes out super fluffy and wonderful for play. 1. How to make fluffy slime you will start with a bowl, cup, or plate to mix your slime in. 2. Pour out the entire contents of a 4oz of Elmer’s glue, or a 6 oz Elmer’s glitter glue into the bowl, or 1/2 the 8 oz bottle. 3. 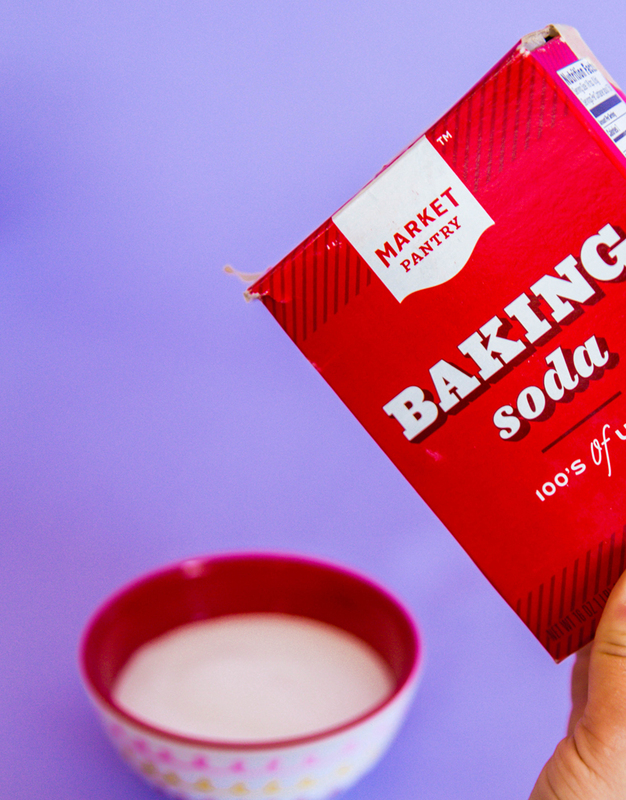 Add ½ TBSP of baking soda and mix. 4. Now for the glue! Which is the element that allows you to make slime without borax. For the colored slime recipe after mixing, add your choice of food coloring. Mix this and/or add more food coloring until you get the color slime you’re after. For the glitter slime recipe, the glitter slime is already colored, so if you are making that one you can skip this step! 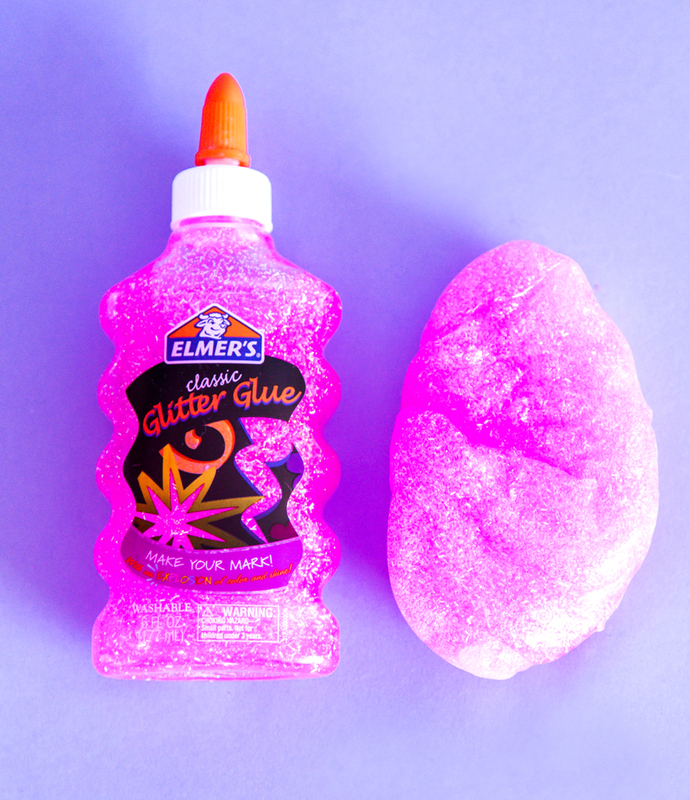 Just be sure to use glitter glue, or add in edible sprinkles for even more glitter slime fun. 5. 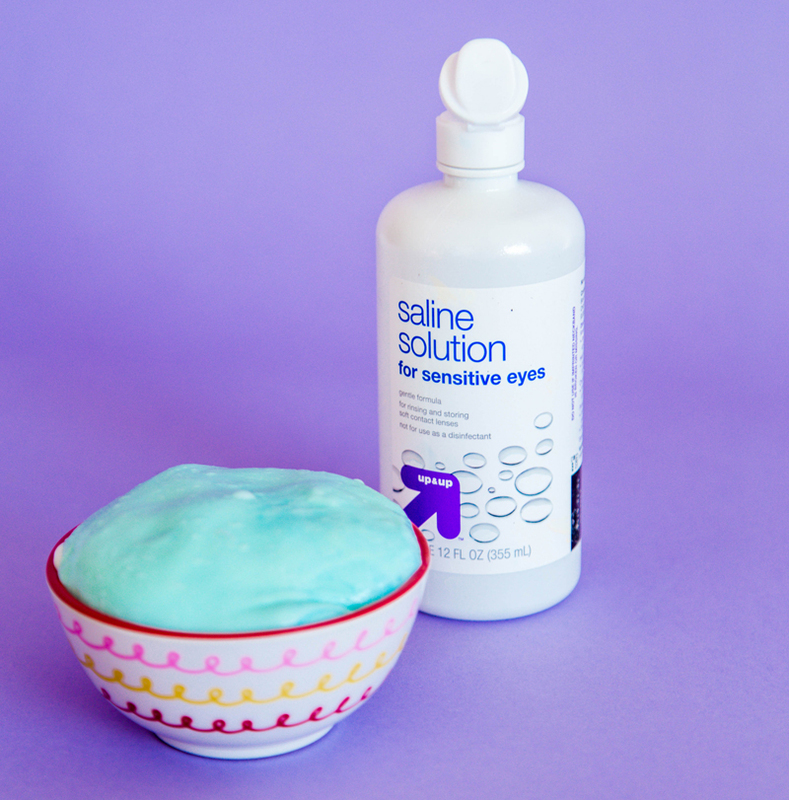 To finish off your slime and add the right amount of fluff to the mix, add 1 TBSP of Contact solution and mix until the slime forms and it begins to get harder to mix. 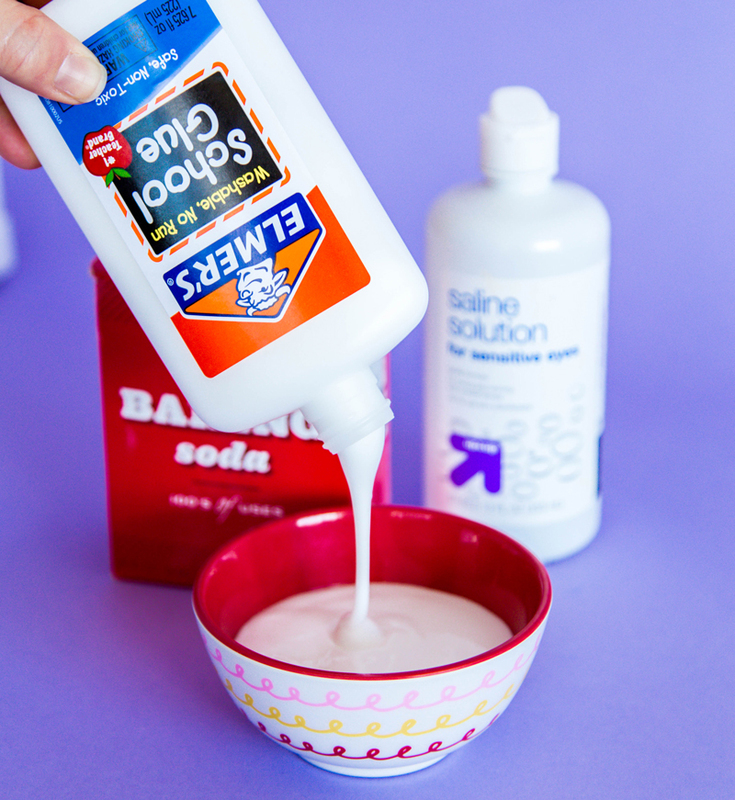 That’s all you need to do to create fluffy slime with a simple recipe, without borax that is safe for everyone to play with! 6. 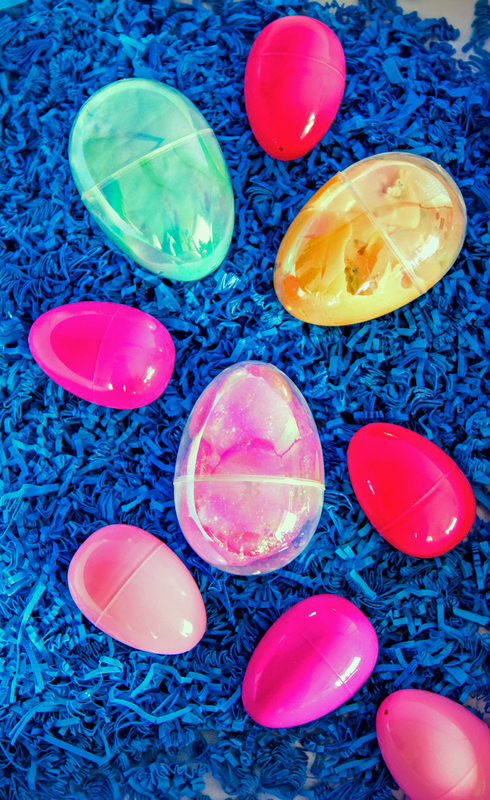 For the Easter fun… Stash the fluffy slime inside the Easter eggs and close securely, then have a blast watching the kids play with the gunk all day long. 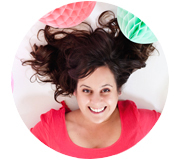 This post is done in paid partnership with Elmer’s, my favorite glue for all our crafting fun.